2017 Louis Jadot Burgundy Wine Tasting at Wine Watch with special guest winemaker Frederick Barnier Tuesday January 29th and all the Jadot in the store!! We would like to remind our "Wine Drinking People" that everyday above ground is reason to celebrate as you never know when your last day is don’t save that special bottle make it a special occasion tonight and drink it!! And we are very excited to have winemaker Frederick Barnier from Louis Jadot back at Wine Watch on Tuesday, January 29th for a preview of the 2017 vintage from Burgundy. You will get a first hand look at the 2017 vintage from one of the brightest minds in Burgundy and there will be 20 wines on the table this evening!! I know there are only 18 on the list below but you always get extra at the Wine Watch tasting and we have a nice collection of older vintage Louis Jadot wines on hand so we will show you one older white and one older red Burgundy to give you perspective on how these wines age. And for those of you that can’t make the tasting I have included all the Louis Jadot wines we have in the store on this offering including the 2016 vintage wines that are still available. Well- ask and you shall receive! 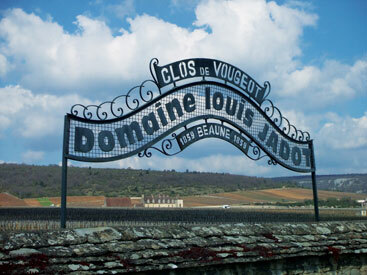 We have conducted a Louis Jadot Barrel tasting nearly every year since!! It looks like both the 2015 and 2016 vintages from Burgundy are Excellent to outstanding in quality although the quantity in some parts of the Cotes d'or was severely diminished. The last vintage where they had a full harvest before 2017 was 2007! The 2017 vintage was not only plentiful, but it also was another high quality vintage. Join us as we welcome Frederick to Wine Watch and as we taste through some Burgundy from 2017 vintage along with a three-course menu to accompany the tasting wines. The price for this tasting which includes dinner is $125 + tax, for reservations call 954-523-9463 or e-mail andy@winewatch.com. The fee for this tasting which includes dinner is $125 + tax for reservations call 954-523-9463 or e-mail andy@winewatch.com. Please let us know when you make your reservation if you would like a mixed greens salad instead of Foie Gras and chef Toni will be happy to accommodate your dietary needs. A bit about the 2017 vintage from Burgundy as published in Decanter magazine. It's been a rollercoaster, but 2017 could be the biggest overall crop since 2009. Can quantity combine with quality? William Kelley gives his initial view on how the Burgundy 2017 vintage looks after spending September in the region and following the harvest. Along the Côte d’Or, the sound of honking horns and cheering pickers announces that the Burgundy 2017 harvest is coming to an end. After a succession of meagre years, beset by hail, rot and frost, nature has finally answered growers’ prayers, delivering a plentiful crop to equal or surpass the volumes achieved in 2009, the region’s last abundant vintage. After the gloom of 2016, a year ravished by the worst frosts since 1985, spirits this year are buoyant and the atmosphere cheerful. The vintage’s signature: a heavy crop of Pinot Noir in Volnay Santenots. Credit: William Kelley. At domaines with empty cellars and correspondingly depleted coffers, 2017’s bounty may prove of truly existential importance. ‘We’re thankful’, confesses Cyril Audouin, whose Marsannay vineyards were ravished by frost in 2016. ‘Everyone in the Côte d’Or is smiling this year’, agrees Véronique Drouhin: ‘it’s so nice to have full fermenters!’ Moreover, with such an abundance of wine now waiting in the wings, it is to be hoped that the pressure to increase prices for the 2016 vintage will be less keenly felt. A complex growing season may be briefly summarized. When frosts threatened in April, growers determined not to relive the heartbreak of 2016 banded together, burning bales of straw to ward off the cold. Hot weather followed hard on the heels of the April chills, in some instances disrupting flowering, as Jacques Carillon reported in his Puligny-Montrachet premier crus. The summer’s heat also stressed the vines, sometimes shriveling berries and retarding physiological ripening. Hail on 10th July, its impact largely confined to Morey-Saint-Denis, damaged grapes. Then, in late August, much needed rain brought relief, helping vines to bring their fruit to fuller maturity. Grand Echézeaux, Echézeaux and the Clos Vougeot after a light shower during harvest. Credit: William Kelley. By late August and early September, harvesting had begun. Arnaud Ente in Meursault, generally one of the region’s first to pick, started on 25 August, and by 1 September the Chardonnay vintage was well under way in both the Côte de Beaune and the Mâconnais. With rain forecast at the end of the week, the first reds were picked around the same time, Charles Lachaux of Vosne-Romanée and François Millet of Chambolle-Musigny’s Domaine Comte de Vogüé both beginning on 2 September. Others chose to wait, Sebastien Cathiard only beginning two weeks later, and the Domaine Ponsot finally getting underway on 19 September. As ever, deciding when to harvest was a delicate matter: rain did indeed transpire on 9 September, continuing on-and-off for the following week. ‘If we could have counted on good weather, I’d have waited’, reflected Jeremy Seysses of Domaine Dujac. Some of those who did wait were bullish, others regretful. At many addresses, difficulties in finding pickers brought further complications: ‘the French don’t want to do the work anymore’, was a common complaint. Frédéric Lafarge presses his Volnay Clos du Château des Ducs the old-fashioned way. Credit: William Kelley. Along the Côte d’Or, the crop was plentiful and generally healthy. Vines touched by frost the year before tended to give especially generous, sometimes excessive, yields: rumors of 100 hl/ha in parts of the Côte de Beaune, well in excess of the appellation limits, should give pause. Skins were thick, thanks to the summer heat, and generally well-developed, reminding Cécile Tremblay of 2010, but seeds and stems were more unevenly ripe. Sugars, diluted by rain, were seldom especially high, and many producers will need to chaptalise. Further north, growers in Chablis seem delighted with the grapes that were spared by the April frosts. What can we expect from the wines? 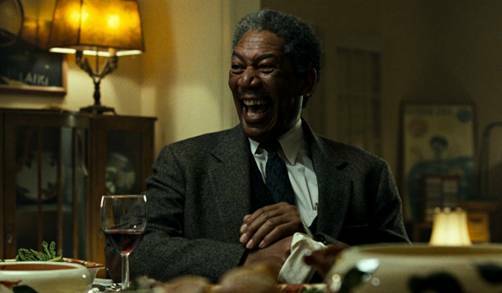 It’s too early to have much sense of their character, and on the red side of the ledger, the vintage suggests comparatively few analogies, the cool harvest weather, punctuated by showers, having put paid to any premature comparisons with 2009. Some, including Jadot’s Pierre Henri Gagey, tentatively invoke the red wines of 1999. It certainly seems probable that the 2017 vintage, like 1999, will test the compatibility of quality and quantity. Low yields, argues Loïc Dugat-Py of Gevrey-Chambertin, were the secret to attaining full ripeness and retaining acidity, a contention that was frequently seconded along the Côte. Over-cropped Pinot Noir may be supple and easy drinking, but it is unlikely to be either profound or age-worthy. If 2016 was a vintage where the weather drew stark contrasts across the Côte d’Or, ravaging some appellations but sparing others, 2017 has been even-handed: it will be distinctions between producers that make all the difference. Chardonnay, more tolerant of high yields, is likely to prove a more forgiving medium than Pinot Noir, and expectations for the 2017 whites are high. With its early start, the year presents easier analogies, superficially evoking 2015. ‘On paper, the two are similar’, admits Jacques Carillon, ‘but I suspect the wines will be very different’. Vincent Dancer of Chassagne-Montrachet sees signs of ‘the volume of 2015 with the acidity of 2014’, a happy union, pointing to the musts’ good levels of malic acidity. Burgundy’s 2016 vintage will be remembered as complicated—in every sense. Arriving at Dijon in glorious early-September sunshine, nature’s cruelty was not immediately apparent: only vines devoid of fruit indicated the destruction that had taken place earlier in the season. Like September, July and August were warm, dry and sunny too, and this spell of consistently good weather managed to salvage the vintage. All things considered, spirits were surprisingly buoyant along the Côte d’Or as harvest began, starting with Chardonnay in Meursault around 20 September. A hot air balloon takes off over Pommard 1er cru Les Rugiens during a lull in harvesting. Credit: Gretchen Greer. Light rain showers in late September gave the vines water they needed, but the good weather held until the beginning of October, when more sustained rainfall created challenging conditions in which to harvest. By then, of course, many growers had finished picking. By mid-October, only a few late-harvesters in the Maçonnais still had fruit on the vine: when I met with the Gauthier Thévenet, irenic amidst the pouring rain, on 13 October, he announced his intention to begin harvesting another parcel two days later. 2016 is such a complicated vintage because the different scourges that beset the vineyards did so remarkably unevenly. Only Chablis—almost entirely denuded of grapes by the worst frost since 1981—can be described, unhappily, as consistent. Frost damage in the Côte d’Or was severe too, striking on 26/7 April, the worst there since 1985; but unlike the frost of 1985, which damaged almost exclusively the lower-lying vines, the frost of 2016 also struck higher-elevation sites—all the while in some cases, unaccountably, leaving lower-lying vineyards untouched. Old vignerons along the Côte can remember nothing like it. The outbreak of mildew that followed also struck vineyards erratically, and much depended on the timing of treatments; in 2016, many growers were forced to leave biodynamic principles in abeyance. ‘Having lost half the harvest to frost’, Jean-Michel Chartron of Puligny-Montrachet told me, ‘I was in no mood to lose what remained to mildew’. The picture in Gevrey-Chambertin was more complicated: frost and hail struck along the Combe St. Jacques and damaged several of the grand crus too; by contrast, the vineyards abutting Brochon were largely spared. Pierre Durroché, for one, was ‘very happy with the quality of the grapes’, which came in between 12.5-13% potential alcohol, anticipating ‘a good vintage, but not as concentrated as 2015’. Bernard Dugat-Py was similarly jubilant about the year’s potential, despite the year’s challenges. Like Fixin, Morey-Saint-Denis did well, with yields just a little below average. Chambolle-Musigny, by contrast, was hit hard: regrettably even the Drouhin’s gambit of lighting candles in their parcel of Les Amoureuses failed to ward of the cruel April frosts. Neighbouring Vougeot suffered too, as did Echezeaux and Grands Echezeaux. Vosne-Romanée and Nuits-Saint-Georges, however, like Morey, did comparatively well. Brooding early October skies over the Clos Vougeot. Credit: Gretchen Greer. The hill of Corton was also heterogeneous: the Pernand side was devastated, whereas the vineyards of Aloxe-Corton and Ladoix fared well, with growers including Vincent Guillemot reporting fruit in excellent sanitary conditions and perfect ripeness. To the south, Savigny-les-Beaune and the vineyards of Beaune suffered especially badly. The situation in Pommard and Volnay was more mixed, with the haphazard nature of the April frosts especially apparent: Fréderic Lafarge’s Volnay 1er crus were largely spared—a blessing after several consecutive years of hail—whereas Dominque Lafon’s Volnay Santenots, to the south of the commune, was badly frosted. To the south, Meursault was hit hard, Chassagne-Montrachet still worse; Puligny-Montrachet escaped such severe damage, but its grand crus were devastated: the Domaines Comtes Lafon, Leflaive, de la Romanée-Conti, Lamy-Pillot, Guy Amiot and Fleurot Larose have agreed to combine their meagre yields of Montrachet to produce a scant two barrels. Further south, Santenay fared better, as Jean-Marc Vincent happily reported. Harvesters in Gevrey-Chambertin race to pick before the early October rain. Credit: Gretchen Greer. It seems certain that the quality of the wines produced in 2016 will be just as heterogeneous, with some producers harvesting ripe, clean fruit while others struggled with rot and were forced to supplement insufficient natural sugar by adding chapitalisation. Buying decisions will need to be made carefully. But one thing is nonetheless certain, even in this complicated vintage: the wines, we can be sure, will be scarce.